Home » News » XVII​ ​Release​ ​Details​ ​Of​ ​Their​ ​New​ ​EP! 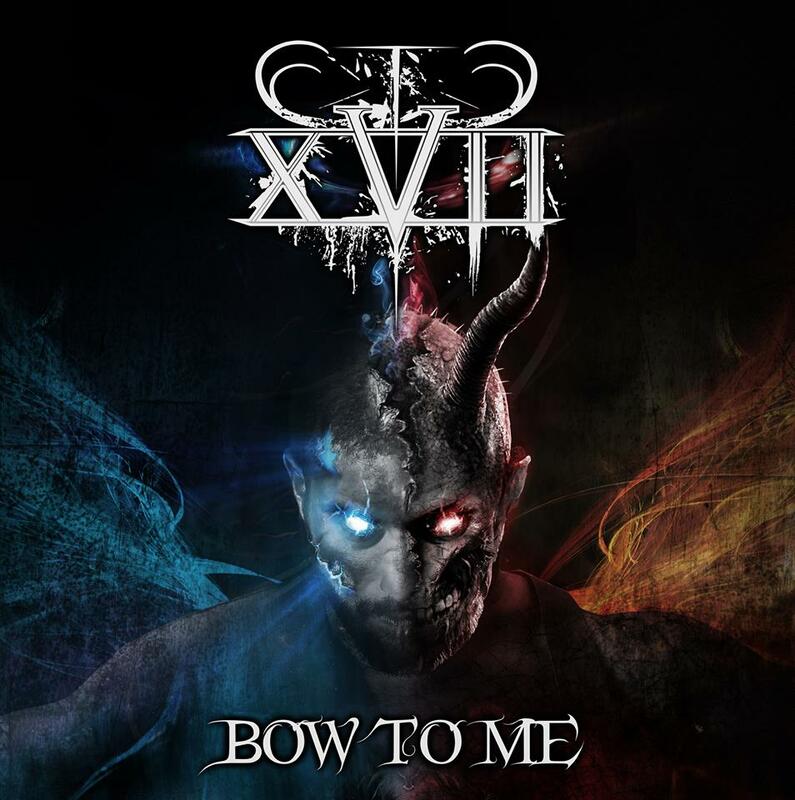 XVII​ ​Release​ ​Details​ ​Of​ ​Their​ ​New​ ​EP! XVII​ , a​ ​five​ ​piece​ ​metal​ ​outfit​ ​from​ ​Kidderminster,​ ​West​ ​Midlands, were formed​ ​in 2012​ ​and​ ​they​ ​play​ ​fast,​ ​heavy,​ ​full​ ​on​ ​METAL!​ ​With​ ​influences​ ​ranging from​ ​In​ ​Flames to Lamb​ ​Of​ ​God,​ ​Devildriver​ ​and​ ​Caliban (amongst​ ​many​ ​others), XVII​ ​have​ ​moulded​ ​their​ ​sound to​ ​create​ ​an​ ​intense​ ​and​ ​crushing​ ​live​ ​experience. Following​ ​on​ ​from​ ​the​ ​2015​ ​release​ ​From​ ​The​ ​Ashes,​ ​XVII​ ​set​ ​out​ ​to​ ​release​ ​a​ ​new​ ​EP​ ​this year​ ​that​ ​shows​ ​off​ ​their​ ​heavier​ ​side.​ ​They​ ​have​ ​listened​ ​to​ ​the​ ​reactions​ ​that​ ​they​ ​received from​ ​fans​ ​and​ ​critics​ ​at​ ​their​ ​live​ ​performances​ ​at​ ​Bloodstock​ ​Open​ ​Air​ ​2015​ ​and​ ​Hard​ ​Rock Hell​ ​Metal​ ​2017​ ​and​ ​have​ ​put​ ​together​ ​a​ ​three​ ​track​ ​EP​ ​which​ ​has​ ​blistering​ ​guitar​ ​riffs, thunderous​ ​drum​ ​beats​ ​and​ ​fierce​ ​screamed​ ​vocals. The​ ​three​ ​track​ ​EP​ ​is​ ​titled​ ​Bow​ ​To​ ​Me​ ​and​ ​will​ ​be​ ​released​ ​on​ ​​Monday​ ​6th​ ​November​ ​2017 in​ ​digital​ ​and​ ​physical​ ​formats. ”Shatter​ ​The​ ​Waves”​ ​which​ ​is​ ​the​ ​single,​ ​this​ ​is​ ​a​ ​song​ ​that​ ​doesn’t​ ​let​ ​up​ ​throughout​ ​with the​ ​three​ ​vocalists​ ​in​ ​the​ ​band​ ​mixing​ ​their​ ​vocal​ ​styles​ ​to​ ​create​ ​a​ ​high​ ​velocity​ ​metal anthem. The​ ​title​ ​track​ ​”Bow​ ​To​ ​Me”​ ​which​ ​portrays​ ​a​ ​darker​ ​side​ ​to​ ​the​ ​band​ ​with​ ​vocals​ ​that​ ​are fast​ ​paced​ ​yet​ ​include​ ​melodic​ ​sections.​ ​Lyrically​ ​the​ ​track​ ​focuses​ ​on​ ​the​ ​demons​ ​that people​ ​carry​ ​around​ ​with​ ​them​ ​on​ ​a​ ​daily​ ​basis​ ​and​ ​how​ ​they​ ​deal​ ​with​ ​them. Krysthla Reveal New Video & Shed Light On The Meaning Behind Their New Album!